This listing is for one flour sack towel. Each towel measures 27 inches by 27 inches and is made of 100% white cotton with black lettering that is applied by professional heat press. 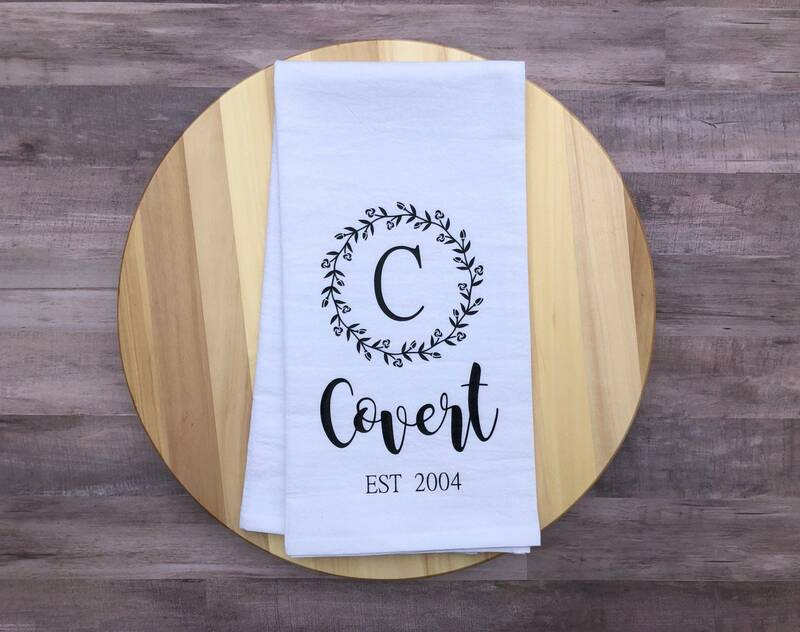 This flour sack tea towel comes personalized with last name, last name initial and year of marriage. They make great housewarming, gifts, hostess gifts and wedding gifts! ***Please leave name, initial and est. date in the personalization message box.